In 1964, Dame Cicely Saunders opened St. Christopher’s Hospice in London. The Dame was a nurse, social worker and physician. The motivation for her work in developing a hospice was driven by concern for dying patients, whom she saw as often alone, frightened and in pain. Hospice care in the U.S. was born from that first hospice in London. Only ten years after Dame Cicely Saunders started her work, Connecticut Hospice in Branford, CT, opened, paving the way for this work to expand throughout the United States. According to the National Hospice and Palliative Care Organization (NHPCO), 1.4 million Americans are currently choosing hospice care for life-limiting illnesses. I have been privileged to work with hospice and palliative care teams for the past 25 years. Despite growing public awareness, there are still many questions about exactly what hospice is, and how it differs from palliative care. Patients and families will ask: Why choose hospice? When is it appropriate? How is it different from palliative care? When is palliative care an option? And, where can someone receive hospice or palliative care for themselves or a loved one? Does choosing hospice mean giving up? Palliative care may be used for anyone with a severe chronic disease, regardless of their prognosis. “An approach that improves the quality of life” for patients and families facing a life-threatening illness — this is how The World Health Organization defines palliative care. As part of this model of care, treatments may be available which address any number of symptoms that cause distress to a chronically ill patient, including but not limited to, pain, depression, difficulty with eating, issues sleeping, or feelings of anxiety. It is important to know that hospice care is a subset of palliative care — hospice is one of the tools available in the palliative care approach to a patient. While palliative care focuses on quality of life and symptom management, hospice is specifically appropriate for people with an estimated life expectancy of less than 6 months, who are not opting for further life-prolonging treatments. It is an option for people who decide to change the focus of their care from managing and curing the disease, to comfort. Hospice takes a compassionate team-based approach to caring for the patient, as well as support for family and caregivers. This can include helping patients and families understand what is available to them in terms of medication, home care supplies, spiritual and social support, and help in outlining what is important to them as they approach the end of life. Most of hospice care takes place at home, but other options include hospice residences, assisted living facilities, nursing homes, and hospitals. Grace Cottage Hospital has an End of Life Care Suite which is offered to patients who are in the active phase of dying. However, the hospital does not provide specialized hospice services. A patient in the End of Life Care Suite has the option to enroll in hospice services, which can then be provided by a home health agency. Medicare and most other insurances now offer coverage for this care. On July 14, 2005, Dame Cicely Saunders died at the hospice she founded. The message is that, whenever possible, people should have as much choice as they can in deciding how to live the end of their life. If you want to know more about hospice and palliative care at Grace Cottage Hospital, please call 802-365-7357. I’m happy to answer your questions. Bio: Dr. Anne Brewer is board-certified in Family Medicine. Geriatrics, Palliative Care, and Adolescent Medicine. A graduate of Brown University and University of Vermont’s College of Medicine, she completed her residency in Family Medicine at the University of Connecticut and practiced medicine in Connecticut for many years. 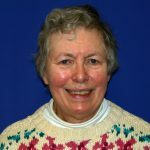 She joined the Grace Cottage staff in 2017.